This is the first new piece in a while and comes from a recent purchase of over a ton of osage or bois d’arc or bodark from Texas. Click on this link: http://en.wikipedia.org/wiki/Maclura_pomifera to learn more about this very hard and useful wood. 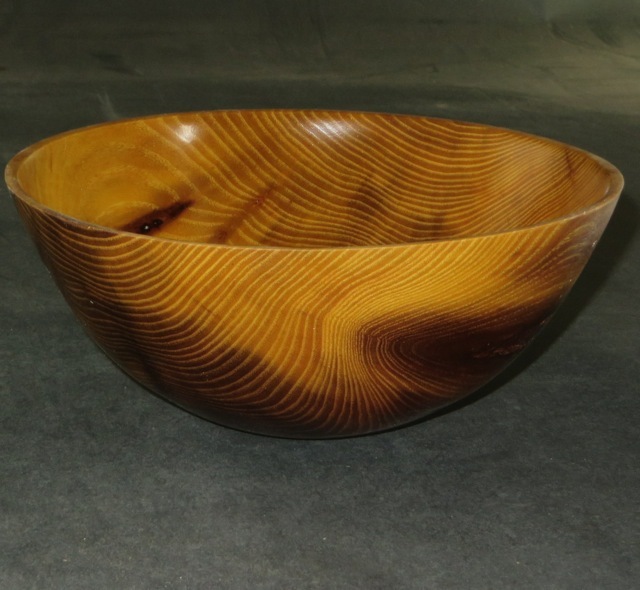 The piece is a very basic 8″ bowl with the usual natural imperfections I like. If you really look closely you will find a few of my personal imperfections.